The use of numbers to condense complex systems into easily digested 'bites' of information is very much in fashion. At one level they are intended to enhance transparency, accountability and local democracy, while at another they provide a means of enhancing performance. However, all indicators suffer from the same basic problem that, ironically, is also their biggest advantage - condensing something highly complex into a few simple numbers. Love them or hate them, there is no denying that people use indicators to make decisions. Indices and Indicators explores the use of indicators within the field of human development. Part I provides a brief outline of the contested meaning of 'development' and how indices and indicators have been used as means of testing the realization of these development visions in practice in a range of institutional contexts. Part II discusses the limitations of such indices and indicators and illustrates how they are dependent upon the vision of development adopted. The book also suggests how indices and indicators can best be employed and presented. 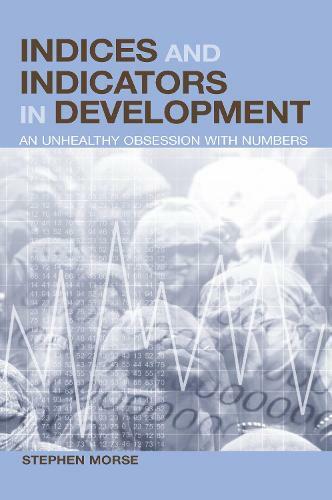 Given our overwhelming reliance on indices and indicators for measuring progress, directing policy and allocating resources, this book is essential core reading for academics, undergraduate and post-graduate students in social science, economics, geography and development studies as well as development practitioners, policy-makers and donor and international funding agencies.